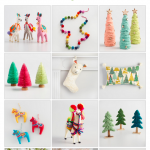 The holidays are here and if you’re like mean you have already started pulling out your Christmas decorations and decking the halls! This is my absolute favorite holiday! 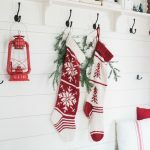 I love transforming my home for the holidays! 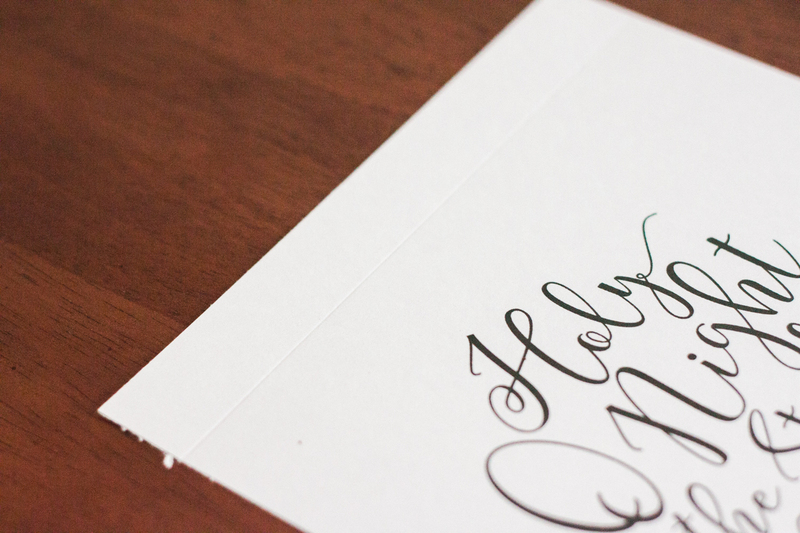 One easy way to change things up for the holidays, without spending a lot of money is printable artwork! 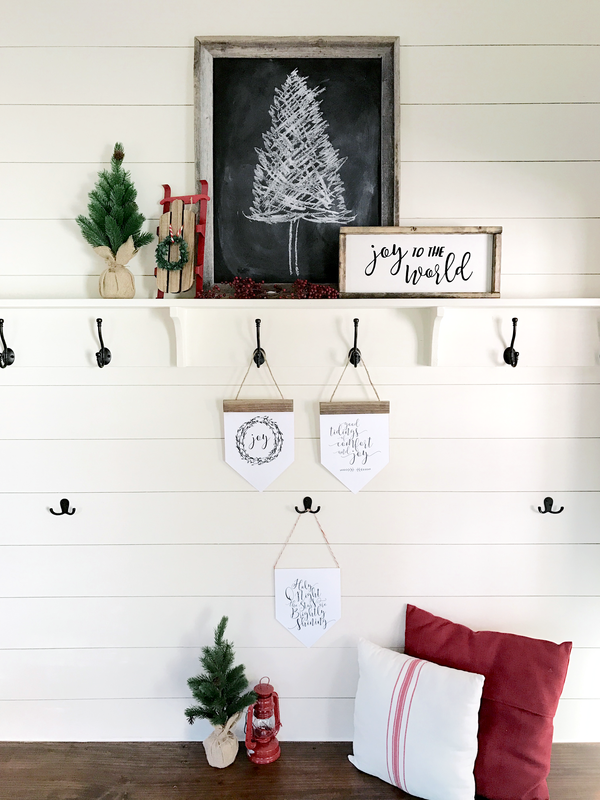 I’m so excited to share with you my this fun little holiday mini banners printable! I hope you love them as much as I do! 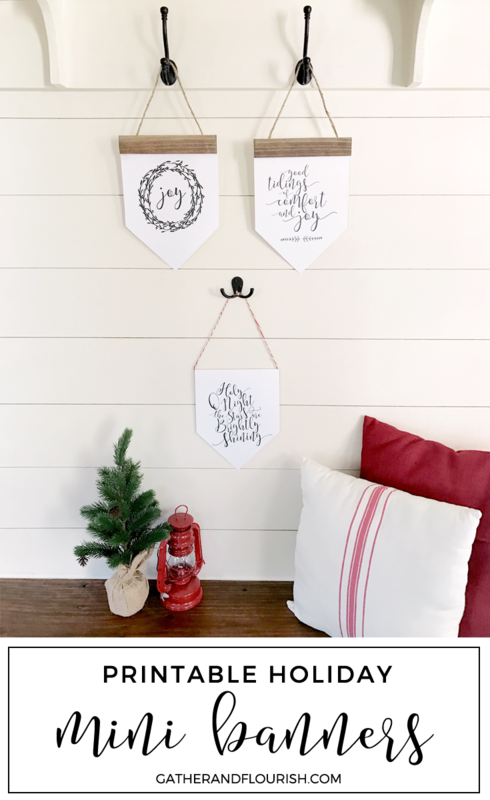 These printable banners are the perfect addition to your holiday decor and would make great printable gifts for friends! 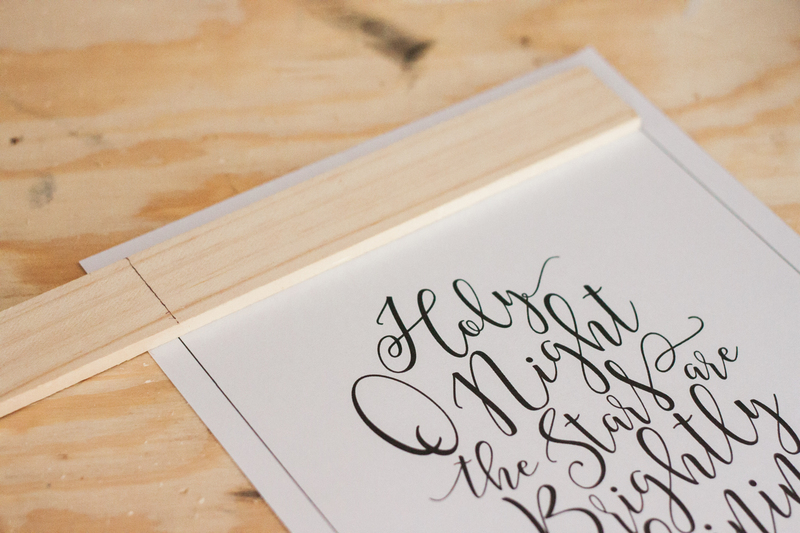 *Please Note: All printables and downloads designed by Gather and Flourish are for PERSONAL USE ONLY. Please do not alter the file or claim it as your own. This file is not intended for resale, nor are the printed versions of this file. The wreath graphic on the “joy” banner was created by We Lived Happily Ever After and can be found here. 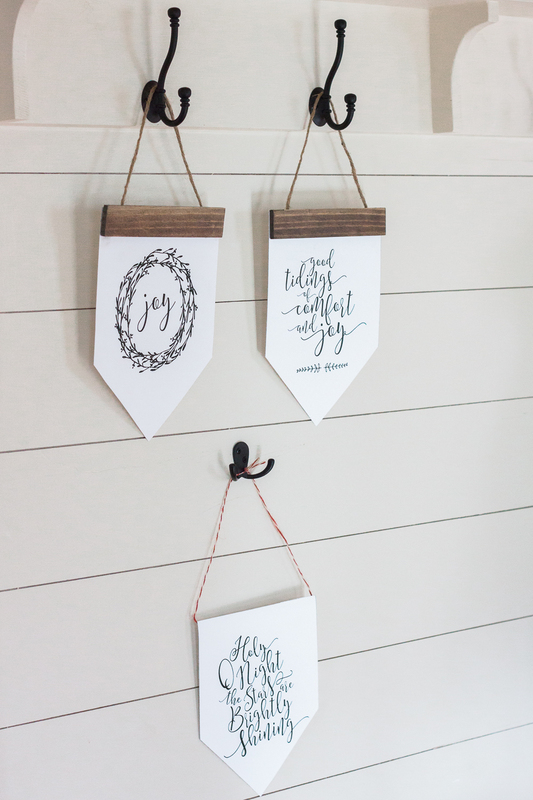 Today I am going to show you how I took these printables and made them into these fun hanging banners! 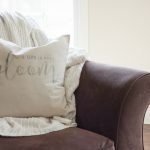 If you find the idea of cutting a piece of wood and staining it intimidating, don’t you worry I have an alternative method just for you! 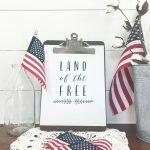 First, you will want to go ahead and download your banner, print it on card stock, and cut it out. Next, you will want to score the banner about an inch from the top edge. My paper cutter has a scoring attachment, but if you do not have one you can simply lay a flat metal ruler across the banner to get a nice clean fold. Cut the top corners off at a 45 degree angle. Fold along the score line, lay string along the fold, and tape. 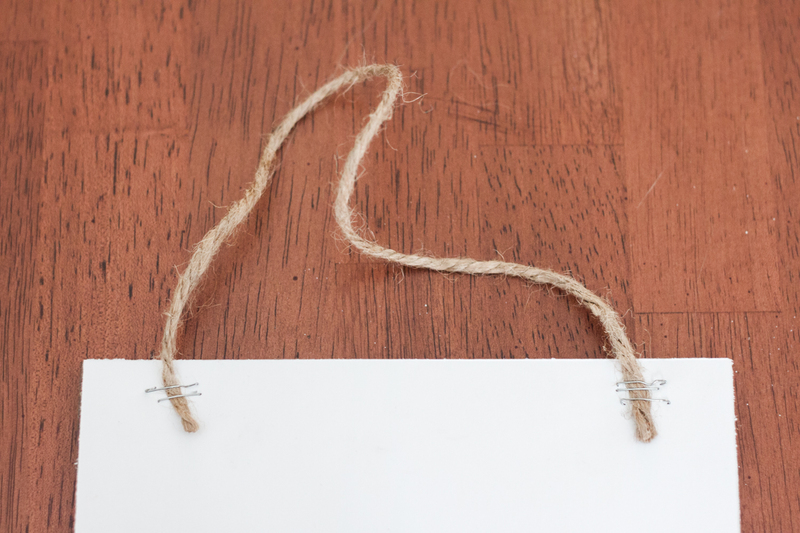 Cut string to desired length, and tie ends together. Now, I will show you the other option for adding a wood pieces along the top to give the banners a little extra “something”! Download, and print out your banner. Lay paint stick along the top edge of the banner and mark the length you will need to cut it. Cut your paint stick to size. 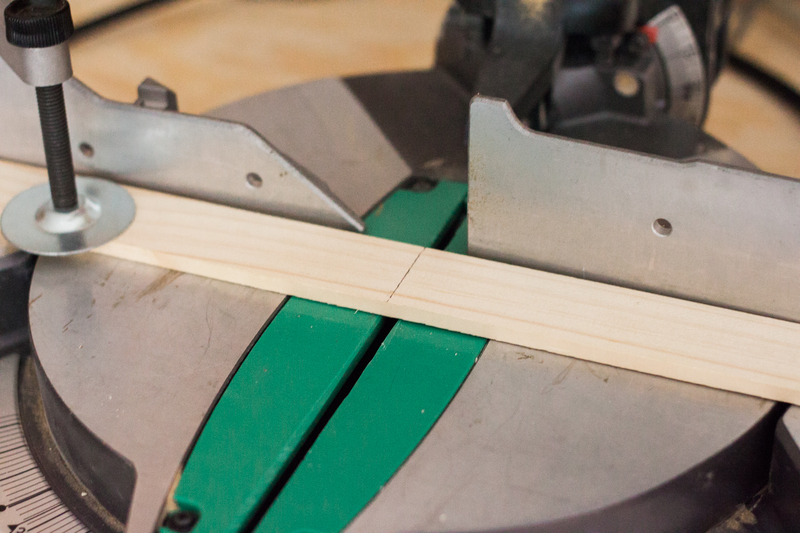 I used my husband’s miter saw to cut my stick but a hand saw would also get the job done! This step is optional, but I chose to go ahead and stain my paint stick with some wood stain I had laying around in the garage. I did 1 coat of Minwax Dark Walnut, and 1 coat of Minwax Classic Gray. Cut out your banner, and hot glue the paint stick along the top edge. 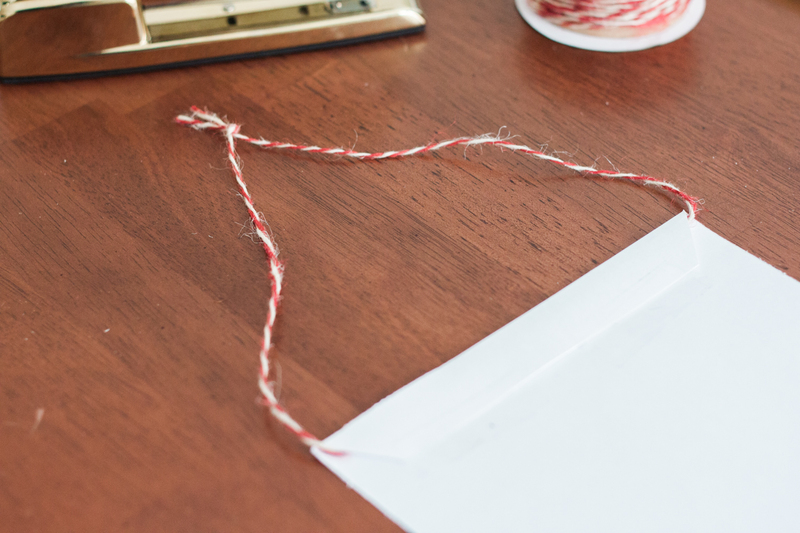 When the glue has cooled, flip the banner over and staple your twine to the back! Hang, and enjoy! If you decide to make one of these I would love to see them! 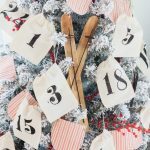 Tag me on Instagram @gatherandflourish to share your festive banners! Love these! Will definitely be making some to hang for decor as well as give as gifts. Thank you for sharing and providing a clear tutorial on how to put them together.